With the recent rollout of fiber in Sun Prairie, TDS employees have been doing their part to get involved with the community. Michael Theo, associate manager of Field Marketing, saw the importance of getting involved beyond monetary donations. Sun Prairie’s “Reading Buddy” home library program engages first graders, high school students, volunteers, and local business people. “The main reason this program caught my eye was the chance for TDS to invest in the Sun Prairie community. Programs of course benefit from financial aid, but this takes it a step further and shows that we care about this community, we want to be a part of it,” said Michael. The program starts with high school technology students building a bookshelf for each first grader to bring home. Then, a community member or local business person is paired with a class and reads a book every month of the school year. Each student is given a copy of the book (per a donation from TDS) to take home and add to their personal bookshelf, resulting in their own “library” at the end of the year. Michael will be reading at Westside Elementary School this year. The first book he read to his classroom was Don’t Let the Pigeon Drive the Bus! 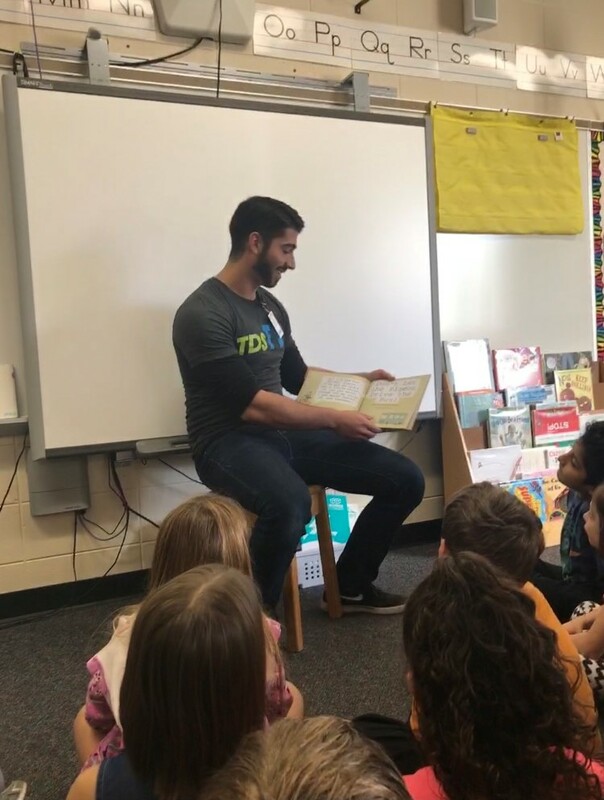 Thanks to businesses and volunteers in the area, the program has expanded to every first grade classroom in the district. 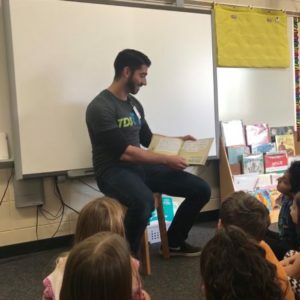 The Reading Buddy program is part of the Sun Prairie Business and Education Partnership (BEP), which provides numerous programs, as well as the personnel to carry them out, to the Sun Prairie community. Mary is PR Intern at TDS Telecom and a Journalism student at UW-Madison. She recently returned from studying abroad in Galway, Ireland. In her free time she enjoys traveling, running, cooking, and reading.